When choosing pellet for your boiler, you should consider its type and how long you want it to last. 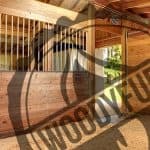 To ensure it’s longevity you should choose high in density and calorific value premium wood pellet. Low moisture content, typically 8-10%. 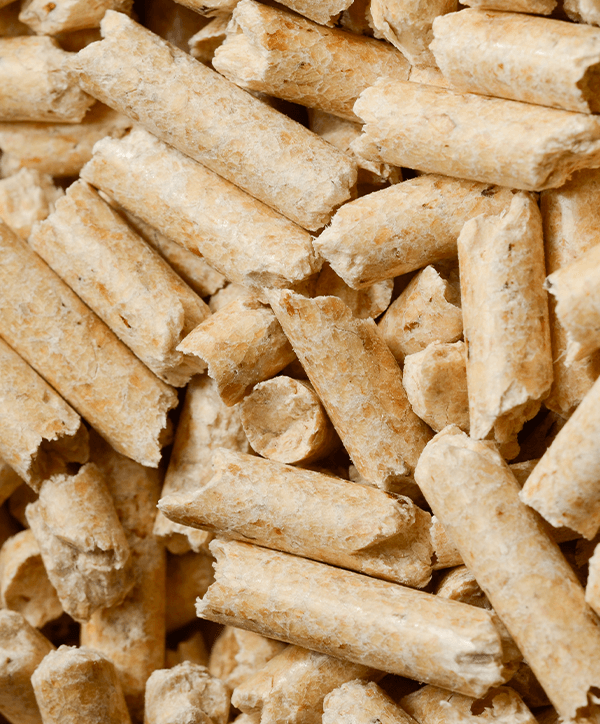 High in density and calorific value, our pellets are suitable for pellet boilers, wood stoves and other heating systems. 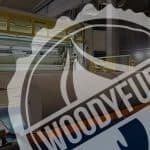 Thanks to modern equipment and experience Woodyfuel provides wide range of high quality products with the shortest possible delivery time. 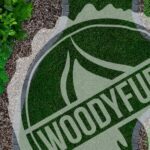 What distinguishes premium wood pellets from economy ones is primarily the composition. Small granules with a diameter of 6-8 mm produced from wood waste (mainly sawdust) without artificial additives are free of bark or any other unwanted debris. Natural ingredients and low exhaust emissions make this fuel one of the most eco-friendly fuel materials. 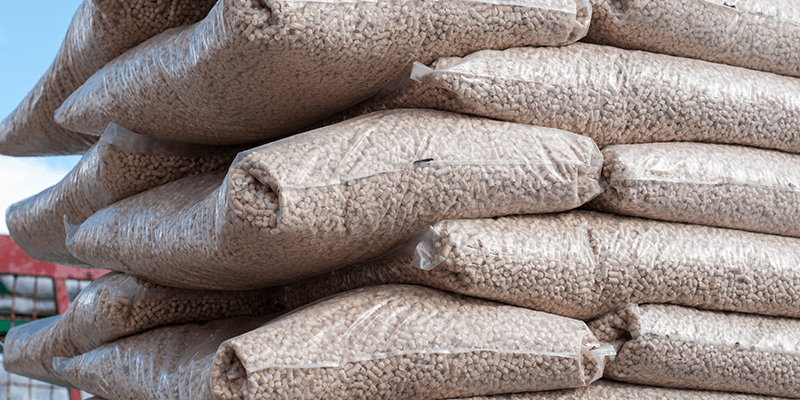 Due to its energy properties, premium pellets are considered to be the most efficient energy sources. Emission of carbon dioxide during combustion is equal to the amount of carbon dioxide absorbed by the tree during its natural growth. A small amount of ash left after burning (less than 0.5% for) can be used as a natural fertiliser. Premium pellets meet European standards which ensures heat and quality and that its thermal output is consistent and long-lasting. 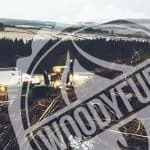 Economy wood pellets are smaller and darker, and they are mostly used in log stoves, chimneys or open fires. Because they are not subject to any market standards, there’s there is no guarantee of their efficiency. One can end up spending more money purchasing economy pellet more often that premium pellet. On the other hand, due to their good absorption properties, they are ideal to be used as horse bedding or cat litter. 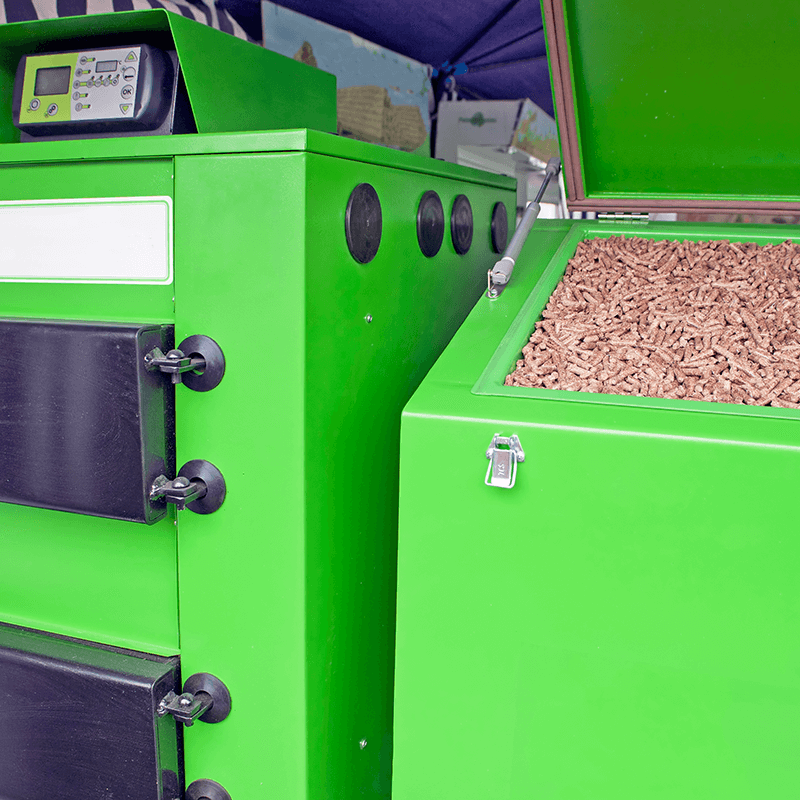 The Economy pellet would not be sufficient for a boiler to operate without maintenance for up to several weeks, contrary to premium wood pellet which allows you to heat the house also during the extended absence of residents. Is it worth investing in pellets now? 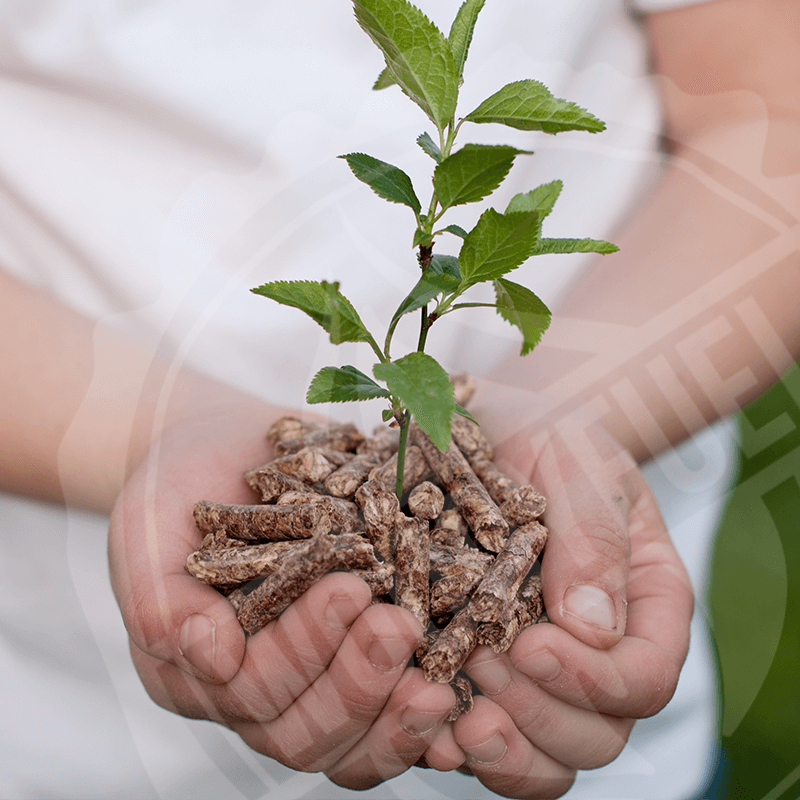 Wood pellet is beneficial to the environment. Photosynthesis shapes its organic mass from water and carbon dioxide absorbed from the atmosphere. During the burning of pellet, the emission of gases and dust is reduced. Hence it is considered to be renewable energy. 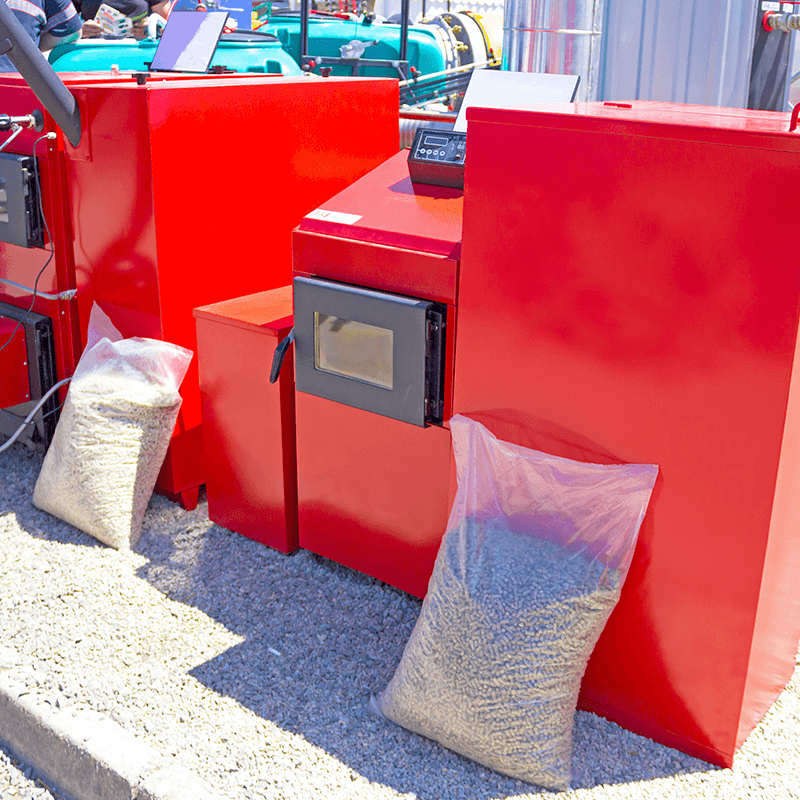 Using wood pellets to heat your home is not just a fashion. It’s a step that will benefit not only the environment but also your pocket, reducing the cost of your heating bills in the long run. Contact our friendly team today to find out more about how we can help and deliver the tailored energy solution your business needs. 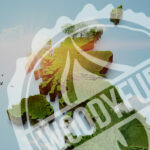 Call Woodyfuel on 03333 447234.